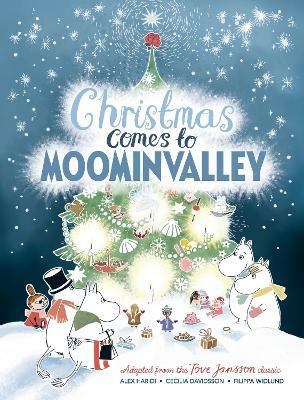 A beautiful, collectible and classic picture book, lavishly embossed and foiled, Christmas Comes to Moominvalley is the perfect gift for Moomin fans of all ages. An exquisitely illustrated re-telling of Tove Jansson's classic story The Fir Tree, in which the Moomins are woken up from their winter sleep to be told that 'Christmas' is coming. The only trouble is, the Moomins have no idea who, or what Christmas is . . . With a sensitively adapted picture book text that captures Tove Jansson's uniquely wise, perceptive and original voice, paired with delicate, painterly illustrations full of character and detail and based on Jansson's original drawings and colour plates, this collectable picture book edition introduces a new generation of readers to the loveable Moomin family and friends and their special values of tolerance, kindness and integrity, as they prepare for their first Christmas, and try to solve the puzzle of what 'Christmas' really means . . .
Tove Jansson (1914 - 2001) was born in Helsinki to artist parents. She was to become a celebrated artist, political cartoonist and author, but she is best known as the creator of the Moomins, one of the most successful and beloved children's book series ever written. Inspired by summers spent on the islands off Finland and Sweden, Tove created the unique world of Moominvalley and all its inhabitants. The Moomins and The Great Flood, her first book to feature the Moomins, published in 1945. Tove went on to publish twelve Moomin books between 1945 and 1977, which have sold in their millions and been translated into over forty languages. In the 1950s the Moomins became a successful cartoon strip, which was to feature in newspapers all over the world. As the Moomins' fame grew, they began to appear in television series, plays, films and a varied merchandise program soon followed. Tove also painted throughout her life and wrote novels and short stories, including the acclaimed Summer Book. But the Moomin world was never far away. As Tove said, "You feel a cold wind on your legs when you step outside Moomin Valley," In 1966, Tove received the Hans Christian Andersen Award for her lasting contribution to children's literature.